EVERYTHING You Need To Start Generating Money Publishing Books On Amazon Kindle! You probably know how much money you can make publishing books on Amazon. I published my first Amazon Kindle book back in 2011 now that single book it’s netting over $500 per every month in passive sales. Not all of my 11 books are like that, but many are definitely racking up a very nice passive income. Here’s the thing: Amazon kindle will either always be #1 or they’ll spend millions of dollars trying. So Amazon kindle publishing makes sense. There’s tons of traffic to profit from. It Can Be Tough To Get A Money-Making Kindle Book. But if you do it the WRONG way, your sales will fall flat. You’ll spend hundreds of dollars to make NOTHING back. I’ll Tell You Everything You Need To Know. How you can be stone cold positive — before you ever hire someone — that they’ll do a GREAT job for you. There’s a lot of valuable information that a lot of people have just NO idea about. And if you’re one of those people who thinks you’re an exception to the rule and that publishing a book on Amazon Kindle won’t work for you…sorry to be blunt, but you’re wrong. My main objective is to help you in a HUGE way. I know you work hard for your money and I know you’re buying this solely on the promises that I’ve laid out to you. I’m willing to put my money where my mouth is. If for any reason Kindle Rockstar doesn’t work out for you…all you have to do is let me know within 30 days of your purchase and I’ll promptly refund all your money. As you can see, I’ve made this as easy as possible for you. 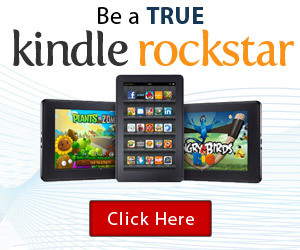 As soon as you sign up you’ll get instant access to the complete Kindle Rockstar Training – the course, and the videos. And obviously you can also rest assured that there’s absolutely nothing to lose with your full money back guarantee. That being said, I’m looking forward to seeing you on the “other side”!. Simply click the add to cart button below to order now.